The new study also said that 20% of people who describe themselves as healthy are in fact overweight. AN EXPERT GROUP that looks into how obesity impacts on health has said that “widespread misconceptions” about its danger persist. 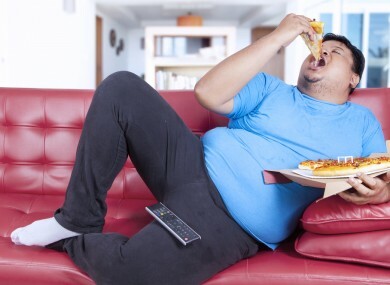 The European Association for the Study of Obesity (EASO), has released a new study entitled ‘Obesity: an underestimated threat’. In it the group show that obesity can reduce life expectancy at a comparable level to smoking tobacco. What are the main points of the report? Speaking about the report, Chair of the Association for the Study of Obesity on the Island of Ireland (ASOI), Dr Grace O’Malley, highlights seven key findings within the report. These include the fact that less than 50% of the population realise that it is a disease; that many people are unaware of the link between obesity and serious illness; that over 60% do not think obesity surgery should be paid for by the national health system; and that over 80% of individuals underestimate the importance of an overall approach to maintaining a healthy weight. Studies have shown that moderate and severe obesity (BMI 30-35 kg/m2 and >40 kg/m2 respectively) can reduce life expectancy by between 5 and 20 years which is comparable to the impact of tobacco smoking (10 years). Despite this, less than 50% recognised obesity as being as dangerous as smoking. Interestingly, it was also found that many people who consider themselves healthy are in fact overweight. Recent statistics have shown that obesity is a ‘growing threat’ – with a 2014 model estimating that 89% of of Irish men could be overweight by 2030, with 48% of these being obese. The study released today carried out by the group looked at 14,000 people in seven European countries and aimed to build a better understanding of how the public perceives obesity. Email “Most of us don't realise severe obesity is as dangerous as smoking”. Feedback on “Most of us don't realise severe obesity is as dangerous as smoking”.